Tech Mom Webisodes written by Zach Phillips, directed by Adam Sacks. 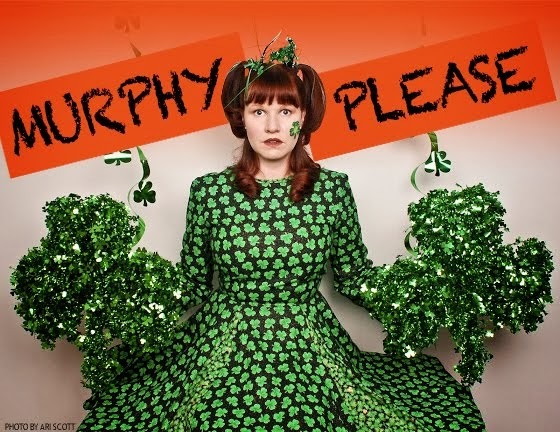 Pamela Murphy has been studying and performing at the UCB Theatre since 2003. She is ecstatic to be a member of the Harold team Standard Oil and the Maude team Arbuckle. Past UCB credits include performances with the Harold teams Havana Clambake. Killebrew, Kill Your Darlings and DeCoster, the Maude team Slow Burn, and in the UCBT shows Killgore:The New Blood, B-Roll: Fact or Fiction, Sketch Cram, Glue Trap Theatre, Blackout, The Hogwarts Improvisation Society, The It Sucked Awards, Marx the Spot and as an Irish superhero in The Iron Sheikh and Friends. She has appeared onLate NIght with Jimmy Fallon, a bunch of commercials and a ridiculous amount of internet videos. You can currently see Pam perform The C Word at the UCB Theatre, a show she wrote about her experience with breast cancer, which was named The Best Solo Show of 2010 by Time Out NY. When not performing, Pamela spends her free time spoiling her skittish dogs. Those dogs really do love her.